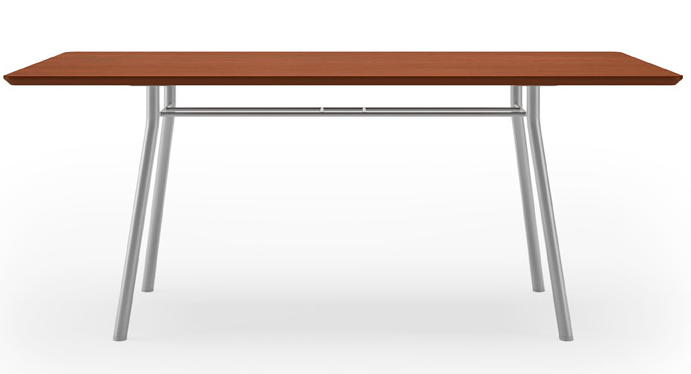 Our Mystic Rectangular Conference Tables feature a high end, mid century modern look, without the high end price tag. Mystic tables are as durable as they are attractive and with several sizes available, they fit into almost any size conference or meeting room. 60" Rectangular Table sold above. Other sizes and matching chairs sold below. 60" Rectangular Table seats 4 comfortably and measures 36"W x 29-1/2"H. One-piece table top for a smooth, seamless appearance. Shipping weight 95 lbs. Ships unassembled for safety in transit. PRICE INCLUDES SHIPPING! (Truck shipment - see Terms & Conditions). Please allow 2-3 weeks for delivery. Mystic tables are finished in a scratch resistant high pressure laminate in your choice of six, sophisticated colors. 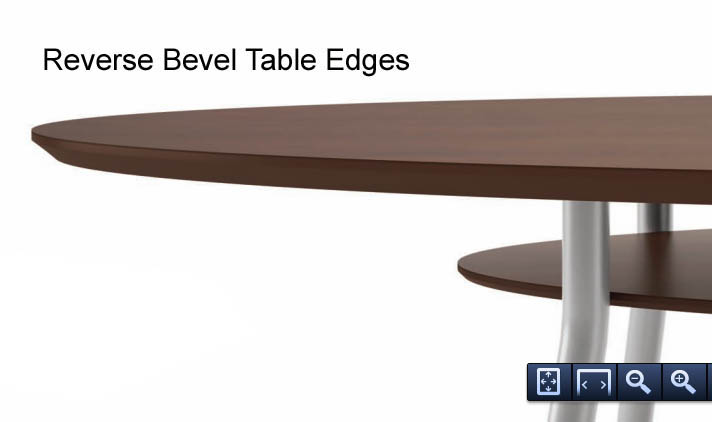 Table tops are 1" thick and feature "reverse bevel" edges. The reverse bevel edges of the tabletop are an exposed MDF that has been stained and lacquered to create an attractive, finished look. 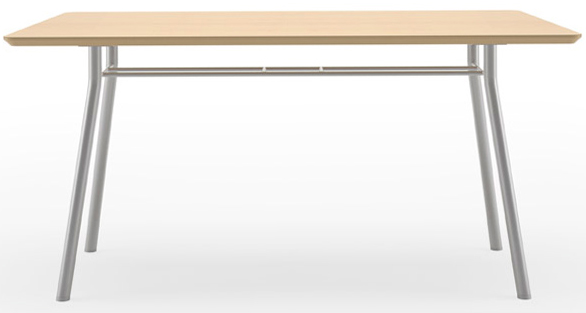 60" and 72" tables are sold with or without a lower accent shelf. Sturdy, steel legs are 1-1/2" in diameter and feature a long-lasting powder-coat finish, in your choice of silver or black. 60" Rectangular shaped table top is 1" thick and is finished in your choice of six high pressure laminates. Lower accent shelf is 1/2" thick and sits 4" below the top surface. 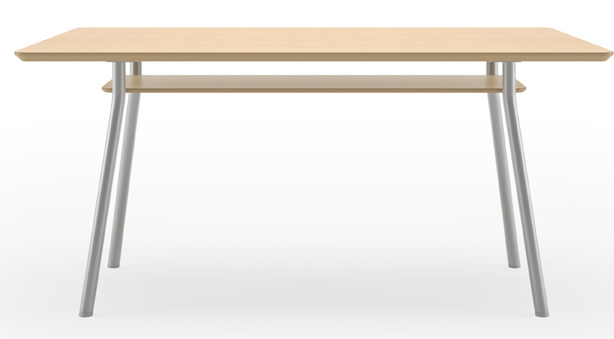 One-piece table top for a smooth, seamless appearance. 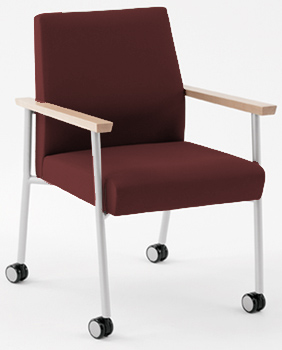 Sturdy, steel legs are available in your choice of 2 colors. Measures 60"L x 36"W x 29-1/2"H. Shipping weight 108 lbs. Ships unassembled for safety in transit. PRICE INCLUDES SHIPPING! (Truck shipment - see Terms & Conditions). 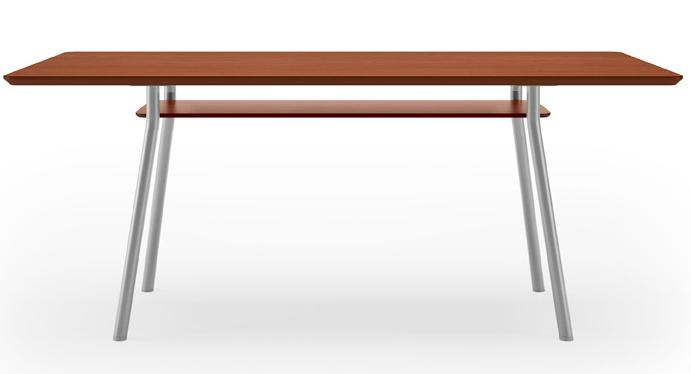 72" Rectangular shaped table top is 1" thick and is finished in your choice of six high pressure laminates. One-piece table top for a smooth, seamless appearance. Sturdy, steel legs are available in your choice of 2 colors. Measures 72"L x 36"W x 29-1/2"H. Shipping weight 110 lbs. Ships unassembled for safety in transit. PRICE INCLUDES SHIPPING! (Truck shipment - see Terms & Conditions). 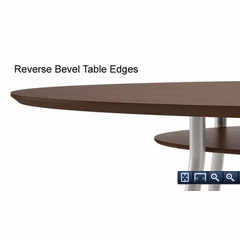 72" Rectangular shaped table top is 1" thick and is finished in your choice of six high pressure laminates. Lower accent shelf is 1/2" thick and sits 4" below the top surface. One-piece table top for a smooth, seamless appearance. Sturdy, steel legs are available in your choice of 2 colors. Measures 72"L x 36"W x 29-1/2"H. Shipping weight 125 lbs. Ships unassembled for safety in transit. PRICE INCLUDES SHIPPING! (Truck shipment - see Terms & Conditions). 84" Rectangular shaped table top is 1" thick and is finished in your choice of six high pressure laminates. Lower accent shelf is 1/2" thick and sits 4" below the top surface. One-piece table top for a smooth, seamless appearance. 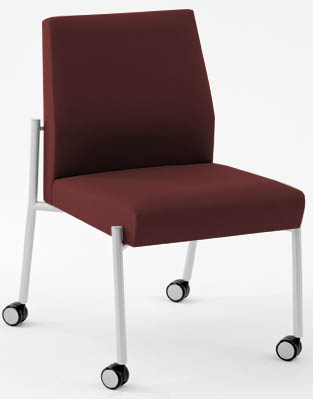 Sturdy, steel legs are available in your choice of 2 colors. Measures 84"L x 42"W x 29-1/2"H. Shipping weight 164 lbs. Ships unassembled for safety in transit. PRICE INCLUDES SHIPPING! (Truck shipment - see Terms & Conditions). 96" Rectangular shaped table top is 1" thick and is finished in your choice of six high pressure laminates. Lower accent shelf is 1/2" thick and sits 4" below the top surface. One-piece table top for a smooth, seamless appearance. Sturdy, steel legs are available in your choice of 2 colors. Measures 96"L x 42"W x 29-1/2"H. Shipping weight 210 lbs. Ships unassembled for safety in transit. PRICE INCLUDES SHIPPING! (Truck shipment - see Terms & Conditions). 1 - 2 $319.00 ea. Mystic Guest Chair with casters features a sturdy, steel frame in a silver or black powder-coat finish. Solid wood arms are available in 6 wood stains. Choose from several attractive fabrics. Dual wheel casters allow for easy movement. 4" thick seat cushion measures 20"W x 19"D and is 16"H from the ground. Arms are 25� from the ground. 275 lb weight capacity. Measures 23-1/2" x 25"D x 35"H overall. Shipping weight 30 lbs. Ships unassembled. PRICE INCLUDES SHIPPING! 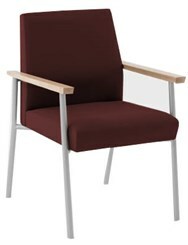 Mystic Armless Guest Chair with casters features a sturdy, steel frame in a silver or black powder-coat finish. Choose from several attractive fabrics. Dual wheel casters allow for easy movement. 4" thick seat cushion measures 20"W x 19"D and is 16"H from the ground. 275 lb weight capacity. Measures 22-1/2" x 25"D x 35"H overall. Shipping weight 27 lbs. Ships unassembled. PRICE INCLUDES SHIPPING! Mystic Guest Chair features a sturdy, steel frame in a silver or black powder-coat finish. Solid wood arms are available in 6 wood stains. Choose from several attractive fabrics. 4" thick seat cushion measures 20"W x 19"D and is 16"H from the ground. Arms are 25" from the ground. 275 lb weight capacity. Measures 23-1/2" x 25"D x 35"H overall. Shipping weight 30 lbs. Ships unassembled. PRICE INCLUDES SHIPPING! 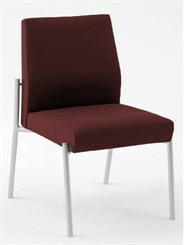 Mystic Armless Guest Chair features a sturdy, steel frame in a silver or black powder-coat finish. Choose from several attractive fabrics. 4" thick seat cushion measures 20"W x 19"D and is 16"H from the ground. 275 lb weight capacity. 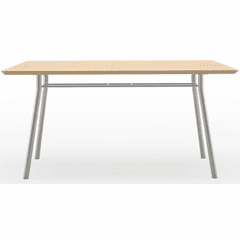 Measures 22-1/2" x 25"D x 35"H overall. Shipping weight 27 lbs. Ships unassembled. PRICE INCLUDES SHIPPING!